Romney Crushes Obama In First Debate: A Ready Romney Had Obama Fooled! In the first presidential debate, Mitt Romney won by a landslide, bringing an unexpected energy and vitality while Barack Obama, who clearly underestimated Romney, appeared listless and exhausted. I experienced the debate from two perspectives: the first part I heard on the radio in the car and, by the second half, I had arrived home and watched the rest of it on TV. While in the car, listening on NPR, I thought I may be missing some of Barack’s nuances because I could not see him. I assumed, and hoped, that he was actually doing better in front of the TV because, on the radio, he had the effect of a sedative. Once in front of the TV, he appeared in person just as his voice portrayed on the radio: listless and exhausted. In reading about the debate pre-debate, many people thought Obama would drive home the final nail in the Romney campaign coffin. However, those really in the know, suggested that Obama, while a very moving speaker, is not a great debater because he often comes across as arrogant and someone who does not suffer fools easily. And, clearly, he would place Mitt in that category. The fool in the room, though, was Barack, who entered this debate unprepared, unpleasantly edgy, subdued, and presumptuous of a victory in November that now will be more difficult to attain. Many people who have seen Mitt Romney in his element–the boardroom–have until now been flummoxed by Romney the candidate, a person they haven’t been able to recognize as one in the same, until last night. They have said that boardroom Mitt is energetic, persuasive, detailed, and positive. And, last night they say, we saw boardroom Mitt. It could not have gone better for the Romney campaign. How do we know this? The news media, who the Republicans think are a bunch of liberally commies, even acknowledged Romney as the winner. Romney won by bringing a positive, optimistic, and ready attitude. If people tuned into find the kind of hope Barack offered in 2008, they got it from Romney last night in 2012. And the issues? What about issues? How did Romney the Ready handle the issues? Romney the Ready handled the issues just fine, with facts at the ready, which made the issues a non-issue. Today, nobody is talking about the issues, which are the same as they were before the debate. It’s all about how the candidates came across. And, in this first presidential debate, Romney came across as knowledgeable, energetic, and hopeful while Barack just came across as, well, cross. 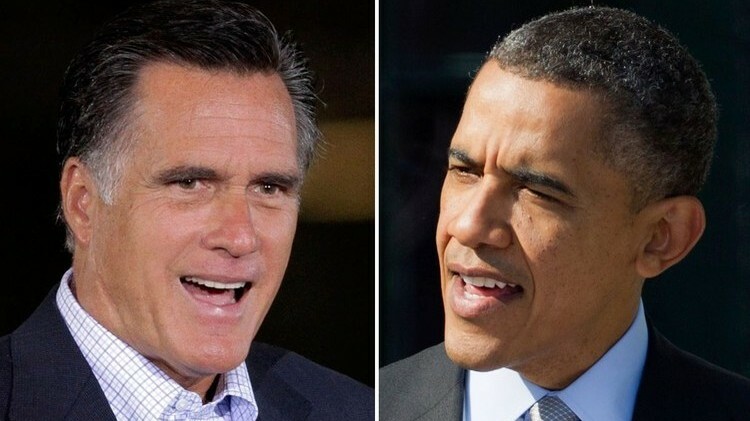 Richard CummingsRomney Crushes Obama In First Debate: A Ready Romney Had Obama Fooled! For many, last night was their first glimpse of the possible future Vice-President of the United States, congressman Paul Ryan of Wisconsin. Certainly, the detractors are already saying that Paul Ryan’s speech contained many half-truths but there is no denying that he fired up the Republican crowd in Tampa Bay. And, with a reference to AC/DC and Led Zeppelin, he may have just swayed some of the youth vote. 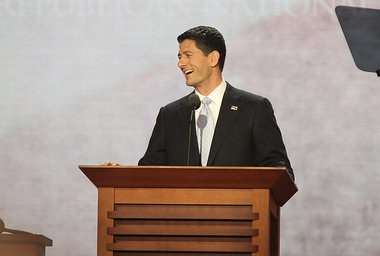 You can watch the full video of the Paul Ryan’s convention speech below and read an objective depiction of Paul Ryan on Wikipedia here. On Fox Morning News yesterday, Bill Kristol gave advice to the Romney campaign that they should heed: embrace your record at Bain and embrace capitalism. Doesn’t anyone see the irony that Mitt Romney is running from, and sometimes on, his supposed greatest triumph: business experience. How do you back track from your strength and yet somehow use this as the foundation of your campaign? He wants everyone to know that he was there until 1999, when Bain had many great successes. He doesn’t want everyone to know that he was there when Bain succeeded by outsourcing jobs to foreign companies. 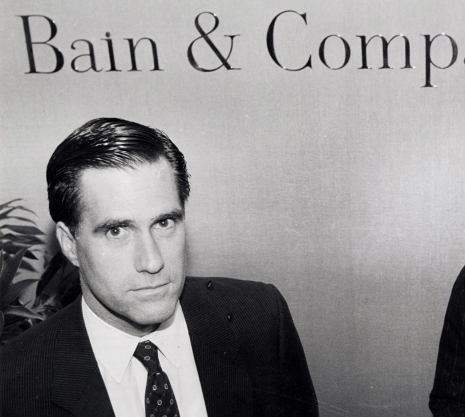 I think we can all agree that Mitt Romney knew of Bain’s outsourcing and probably supported it. He is currently fighting this battle–“I wasn’t there then”–but it’s a losing battle. 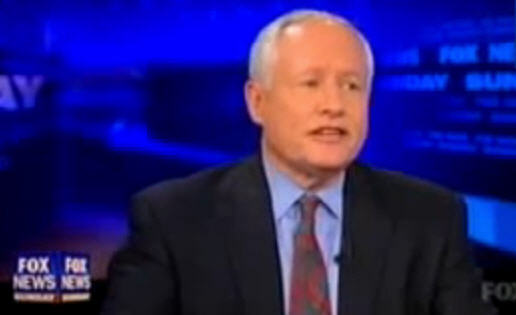 Bill Kristol hits on the best potential Romney strategy. Be up front about your business successes and make capitalism a core idea of this contest. As Americans, we all march to the beat of Capitalism without giving enough thought to what it really means. We say, “Capitalism is what makes America great.” However, outsourcing jobs to other countries, which we all know is the real thing that Mitt is backpedaling from, could reasonably be described as the heart of capitalism: The prize goes to the company that does the best job at the best price. As voters, this may be a great differentiating point of the election: Are you a true capitalist? A Bain in the Arse: Will Mitt Romney’s Bain Capital Position Bring Him Down? 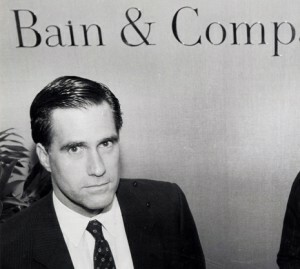 A large portion of Mitt Romney’s financial success stems from his role as the former leader of Bain Capital. The Obama campaign is using this against him and Mitt is once again back-pedaling, saying that his involvement with the firm ended long ago. 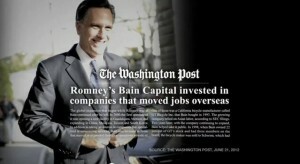 As we hear more about Bain Capital, will this be the issue that brings down Mitt Romney’s presidential bid? What Does Bain Capital Do That Makes It a Target? To understand why the Obama campaign is latching on to this issue, we need to take a deeper look at Bain Capital and find out exactly what they do that may discourage voters. Bain Capital is one of the world’s leading private, alternative asset management firms whose affiliates manage approximately $65 billion. Our principals are the largest single investor in each of Bain Capital’s funds, which aligns the interests of the firm with our investors and the long-term objectives of the management teams. One thing clearly stands out: Bain Capital is about money, money for investors and money for Bain Capital. We see not even a pretense of job creation, corporate responsibility, civic duty, product creation, and many more corporate do-gooder adjectives which many companies at least pretend to incorporate. The one personage who comes to mind when thinking of Bain Capital is Gordon Gekko, the legendary character from Oliver Stone’s Wall Street. Even the man known for “Greed is Good” at least pretended to have altruistic interests. Reasonable people ask reasonable questions and one of them is this: How can these private equity firms make money while laying off thousands of people and bankrupting companies? To start, let’s just recall the movie Wall Street and what happened. Do you remember how Gordon Gekko was initially going to save Blue Star airlines? He was going to improve the management team and upgrade the fleet with the idea of profits in the future. But “greed was good” and Gordon concluded that the treasure of the company was not the solid, hard working employees, but, instead, the fleet of salable planes and parts. So, he fires all the people, sells all the parts, pays himself, and declares bankruptcy, removing any necessity to pay pensions and the like. Result? Gordon makes millions and the employees not only lose their jobs but their pensions. In some cases, Bain Capital is no different than Gordon Gekko. When we look at the case of GST Steel, Bain Capital certainly pulled a Gordon Gekko. The GST Steel Obama campaign will hit home with Americans, but it does not tell the whole story. As voters, you need to sift through the propaganda. You can tell one side of the story, without fabrication but with fact elimination, and it presents a devilish portrait of Bain Capital. But a question needs to be asked about the GST Steel campaign. Was it the original intention of Bain Capital to gut the company? After doing my due diligence, I think that the answer is no. However, it was an idea from the outset. Gutting the company was “the out” and it was known from the start that this was the fallback plan. Private equity is basically a racket. It may be a productive racket, although there is controversy about that. Some studies show that firms and plants taken over by firms like Bain Capital see bigger increases in output per worker than comparable companies that remain independent. But those productivity boosts are largely one-off situations produced by downsizing the labor force, firing people, and outsourcing some of the jobs they do. Sustained increases in productivity and innovation are much harder to find, as so is evidence that the rise of private equity has improved the performance of the economy as a whole, rather than just making a few people like Romney very rich. In this quote, we find the true nature of private equity: it makes a few people very rich but there is little evidence “that the rise of private equity has improved the performance of the economy as a whole”. Will and Should Mitt Romney’s Bain Capital Experience Factor in the Election? Mitt Romney has endlessly mentioned his business experience as one of the primary reasons that he should be elected. Certainly then, his time at Bain Capital, which essentially is the business experience to which he refers, is fair game. A reasonable person can conclude that Bain Capital is about making money, not about creating jobs. In fact, that is their boast: we’re here to make money. If job creation is a by-product of making money, Bain Capital will gladly do it, but it is not what drives them. And what of Mitt Romney’s continued involvement after he claims to have left? Well, we all know that he tended to his Bain Capital financial garden after his supposed official departure. HE couldn’t not. Undoubtedly, Mitt manages his money, and recent dis-closings tell us that he manages much of it as it goes overseas into offshore banks. Gordon Gekko was about greed and making money for himself. If others made money, fine, but that was not the objective. There is nothing with Bain Capital or Mitt Romney that suggests anything other than greed. I am not saying that this is wrong. Making money is not a crime. However, do I want someone as my president who has consistently put his well-being ahead of those he serves? Richard CummingsA Bain in the Arse: Will Mitt Romney’s Bain Capital Position Bring Him Down? 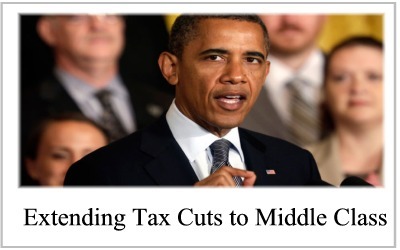 President Obama wants to extend the Bush tax cuts for “middle class” but not the wealthy. As the end deadline approaches for the Bush era tax cuts, President Obama seeks to continue the tax cuts for the middle class but allow the tax cuts for the rich to lapse. The definition of middle class in this context is those who make $250,000 a year or less. Of course, Fox News hates this idea, as they do everything with Obama, and opened their headlines today with “Obama threatens veto of bill combining tax cuts for middle class, top earners“. And from the more liberal New York Times we read “Obama Pushes Tax Cut Extension That Excludes Wealthiest“. The real question is what do you think? Does trickle down economics work? With these Bush Tax cuts, we clearly saw the rich get richer. But did any of it trickle down? Reflecting on the inanity of these tax cuts for the rich, I once wondered why, since less than 2% of Americans would be affected, do people fight a little more taxes on the super-rich? Yet, that 2% number stays consistent with very few additions each year. Clearly, the American dream is alive and well in the minds of most people. And even more clearly, it’s just that: a dream. Mitt Romney Will Outsource US Jobs? 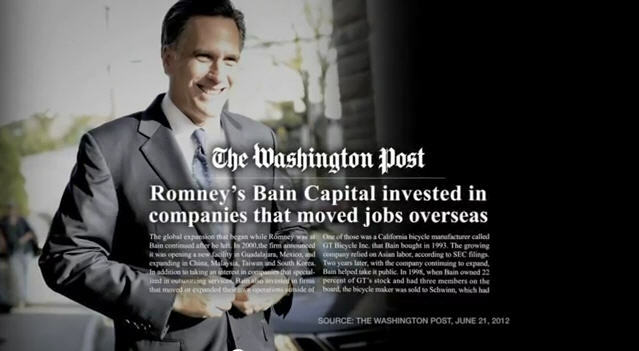 In a new ad put out by the Obama campaign, Mitt Romney is accused of being an “Outsourcer” as his private equity firm, Bain Capital, shipped many jobs overseas. You can view the full ad below but the premise deserves a consideration. If you intend to vote for Mitt Romney, which you shouldn’t (yes, we’re allowed opinions at this site and so are you), you must consider his mindset and the type of business he runs, a private equity firm. Private equity firms are not inherently evil. The idea, essentially, is that you can buy a company, turn-it-around, and make it better. However, in many situations, Bain capital either bought a company and bankrupted it (making millions by paying their consulting fees and then declaring bankruptcy) or they shipped many of the jobs overseas. Is this who you want to run your country? 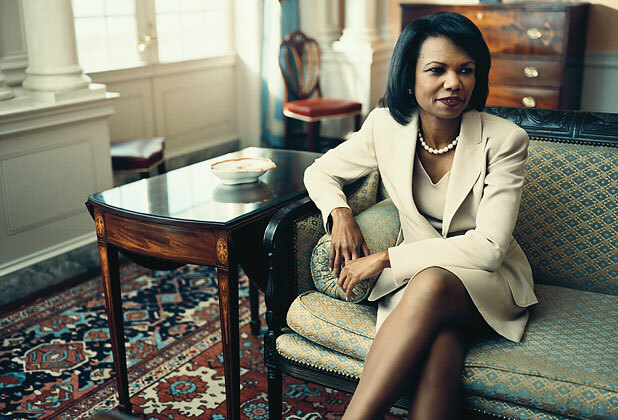 In an interview with CBS this morning, Condoleezza Rice said that there is no way that she would accept the job of VP if Mitt Romney offered it to her. “There is no way that I will do this,” were her exact words that the Romney campaign certainly did not want to hear. Of course, the choice of a VP is all about politics rather than political affinity. Must the VP candidate share the views of the president elect? Absolutely not. It’s all about shoring up votes. And, one senses that a nod to Condoleezza Rice would be to garner support for women and blacks, two groups Romney hopes to sway in this campaign. But, Rice made it abundantly clear that she would decline. This video will be available shortly.